Whistleblowing has been in the news recently with controversy over the treatment of Barclays bank and NHS Whistleblowers (WBs). Heads of both the massive institutions have attempted & succeeded in finding out who WBs are and exact some type of revenge, normally involving sacking the individual or making their positions untenable. WBs need to be protected and have various laws in place to do this due to the likelihood of punishments by management and of the potential ramifications their exposures can have to the public, normally in regards to malpractice, crime and people’s safety. Companies and their management however are all too often only able to concentrate on the damage to their reputation these individuals can cause rather than seeing the bigger picture, very often it is because they are part of the wrongdoing themselves. A WB is defined as someone who discloses information about malpractice or misdeeds which they have witnessed while in their job. According to the UK government website the information they disclose must be in the public interest for you to be defined as a WB. This information is either passed on to the higher management of the organisation or to a regulatory authority if the employer is potentially the one who could be charged with the issues raised. You’re protected by law if you report any of the following: a criminal offence such as fraud, someone’s health and safety is in danger, risk or actual damage to the environment, a miscarriage of justice, the company (normally the one you work for) is breaking the law and if you believe someone is covering up wrongdoing. WBs are protected by law and can’t legally lose your job or be treated unfairly because they have exposed something, any retribution by an employer that is along these lines is legally punishable. There is no limit on when the offences took place; it could have happened in the past, be happening currently or involve concerns about potential consequences. You are protected if you are any type of worker, including working for an agency or being a student employee, such as a student nurse within the NHS. Personal grievances (e.g. bullying, harassment, discrimination) aren’t covered by WB law, unless your particular case is in the public interest. Whistling blowing can be done directly to the employer, but many times the WB will want to meet with a lawyer and discuss their legal rights. 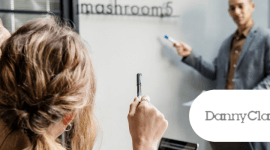 Employees must provide adequate information on their discloser and it must be reasonably believable that the information is substantially true, who they make their disclosure to also matters. They are commonly relayed to a legal advisor, for government workers a government minister and more generally a professional standards body; in extreme cases they can go directly to the media. WB uncovers many types of wrongdoing and crime within a business, for example fraud costs a typical company around 5% of its revenues and WB is the single most common method of fraud detection. An analysis of European fraud cases showed that 25% of charged fraud cases were brought about through anonymous tipping from employees. As the management of a business, provided you are not the wrong doer, it can save you thousands/millions depending on the size of your business. 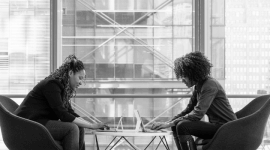 Around 65% of employees who have observed wrongdoing decided to report it, a figure that should be much higher but due to the fear many have of retaliation they avoid doing this. 22% of those who reported wrongdoing said they experienced retaliation because of their actions. 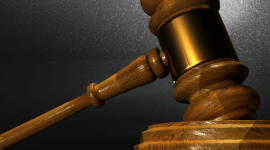 Lawsuits filed under the Federal False Claims Act have recovered more than $40 billion between 1986 and 2013. More than $11 billion has come from lawsuits that were filed by WBs under the False Claims Act. The value of WBs to business is explained by Sir Andrew Likierman of the London business School: “there is an element of truth about any whistle-blowing allegation. It may not be absolutely true, but it may indicate something that is a problem — perhaps not exactly the problem indicated, and that in itself, paradoxically, is valuable to an organization. I mean, what we know from history is that in quite a lot of cases people blew the whistle, nobody paid any attention, it would have been a lot better if the whistleblower had been listened to. “ In the past many scandals rarely came to light, there was a culture of keeping quiet when you were an employee who witnessed questionable actions. Divulging them was simply not done and in this regard we are in a much healthier position today, ethically we are more sensitive. Old practices that weren’t ethical are now much more like to be uncovered and stopped, this has categorically effected corruption within business. You can never completely get rid of these things in business, but you can minimise the effects. What is happening to Whistleblowers? The question that remains is what, even in a more ethical modern environment, is happening to WBs? NHS WBs are being blacklisted even after being cleared by tribunals and Barclays CEO’s are being charged with trying to uncover them in order to punish them, it is still a dangerous for employees to get involved. If the complaint is particularly about the management wrong-doing or reflects badly on the employer, WBs are normally punished with either being fired or having their position being made very difficult to continue in, despite their fully justifiable actions. These stats provided by brandongaille.com, highlight worrying trends: ‘In 2011, 31% of whistle-blowers experienced physical attacks on their property.’ And ‘1 in 4 whistle-blower complaints is typically withdrawn by the person who makes the complaint in the first place.’ There is still a culture of not being encouraged to speak about these issues. Even high-up, exceptionally qualified employees are not immune from such treatment: “An NHS whistleblower who was unfairly sacked after exposing concerns about patient safety has been awarded £1.22m in damages by a hospital trust. Cardiologist Raj Mattu claimed he had been vilified and bullied and subjected to a 12-year “witch-hunt” after making the claims at Walsgrave hospital in Coventry in 2001. 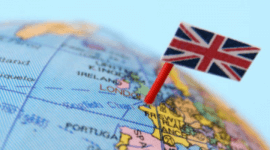 He was sacked in 2010, but Birmingham employment tribunal ruled that he had been unfairly dismissed.” Financially companies can pay dearly for being found guilty of infringing the WB rights we all have, corruption is generally harshly punished in the UK. Going into a more recent incident we have the investigation into Barclays CEO Jes Staley and his attempt to track down the employee who wrote an anonymous WB letter in reference to a long-term associate of the CEO. He faces a significant cut to his pay but will stay in his role, it raises question about just how effectively confidentiality can be maintained when management is acting in this manner. The Guardian’s take on the importance of WB is illuminating and highlights just how a company can encourage their employees to be open about divulging such things: “Whistleblowing is an essential component of good corporate governance which needs to be embraced at the top of an organisation. 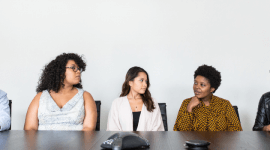 An effective board will ensure that the right culture is in place, paying particular heed to employee confidence in raising concerns and to monitoring the ways in which they are dealt with. Avoiding any form or repercussion or detriment is essential.” A culture of openness is key, not just the appearance of one but actually acting like it when the time comes. Not behaving properly can have devastating effects on how your company is perceived, it multiplies any reputation damage that the initial WB caused if you don’t handle it correctly. Leon Martin of the managing director of Good Corporation, said: “firms need to create a culture that encourages employees to raise concerns about poor behaviour. It is hard to see how an organisation whose CEO instructs his internal security team to identify the author of a whistleblowing letter has created an open culture whereby employees feel confident to speak out. With all that has been said about reforming behaviour in the banking sector, it seems clear that this is still a work in progress.” Take criticism on board and don’t view it through rose tinted glasses, don’t consider it disloyalty especially when it is in regards to public safety. 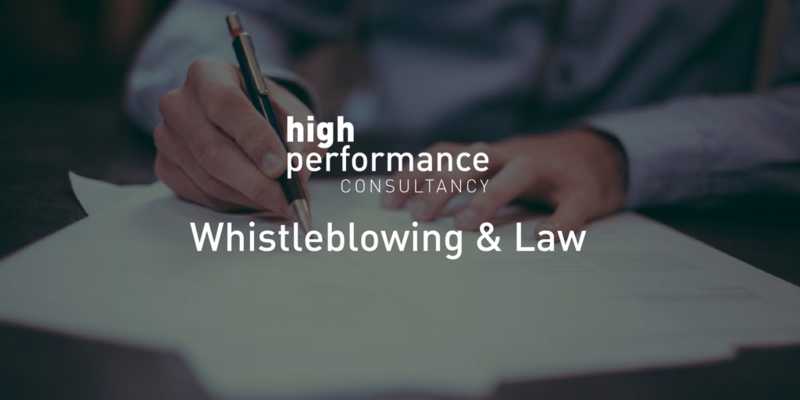 If you are concerned about any areas regarding Whistleblowers and the laws surrounding them in regards to your business and its practices then please get in touch with High Performance Consultancy. We are a UK leading specialist in Employment law, HR and Health and Safety Services, we can be contacted on the form below or by calling us on 0843 509 4543.